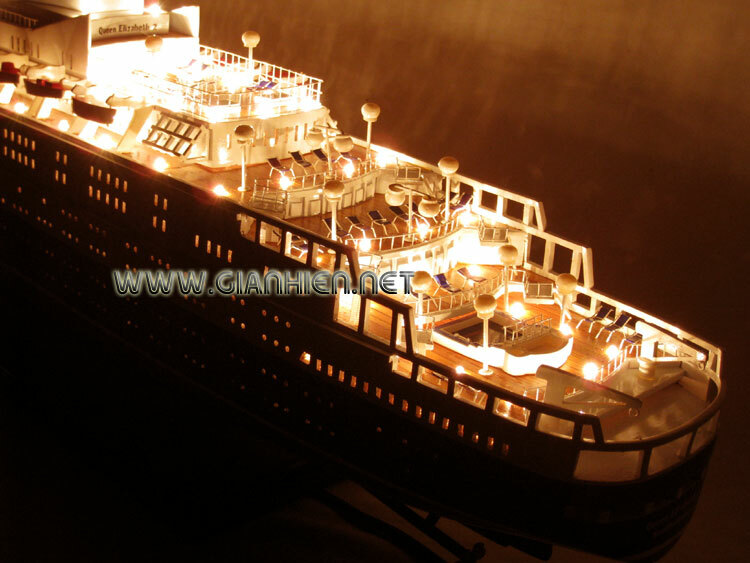 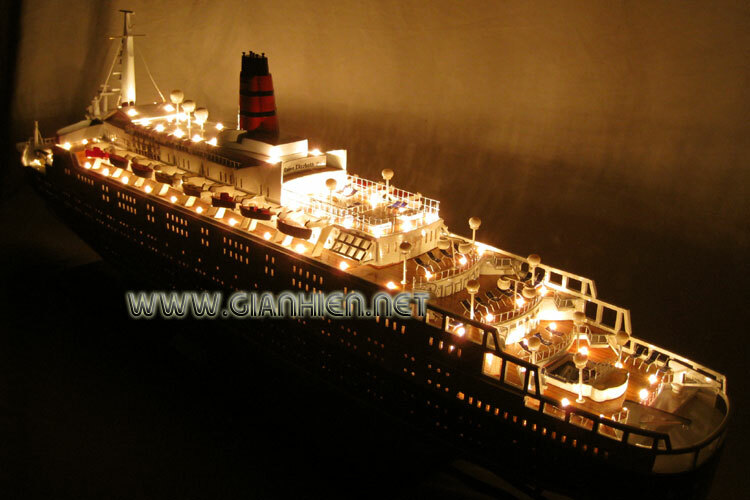 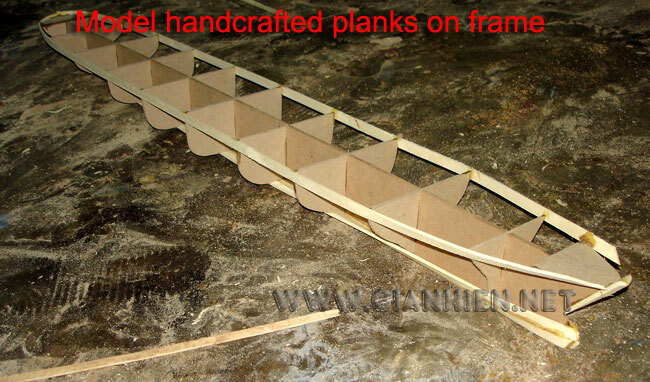 Our model is hand-crafted from wood with planks on frame construction method and the hull inside is meticulous fixed with every single led light by master craftsmen and the electricity is available for 110V - 220V usage. 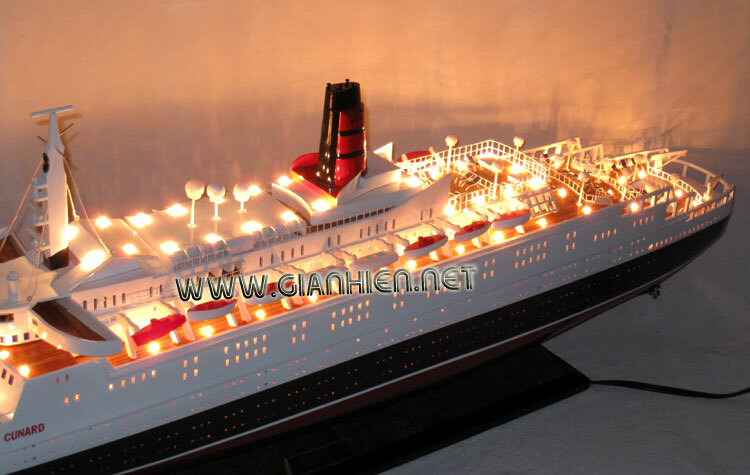 The RMS Queen Elizabeth 2 (QE2) is a Cunard Line ocean liner named after the earlier Cunard liner Queen Elizabeth. 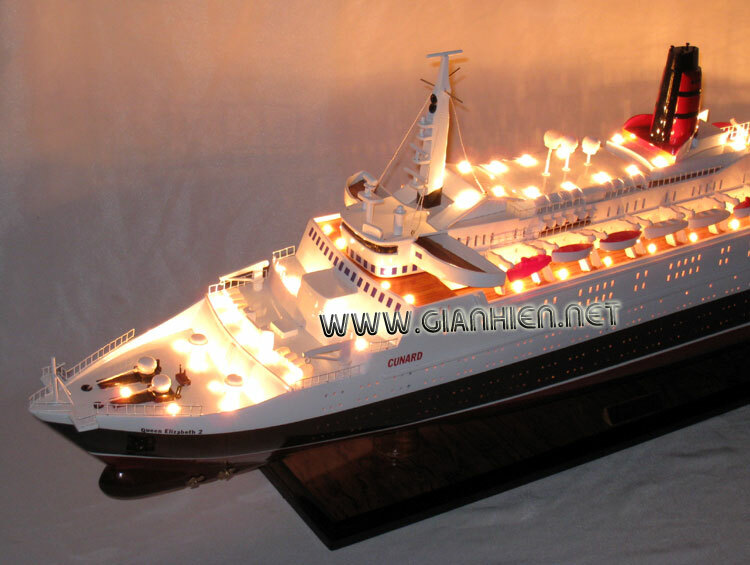 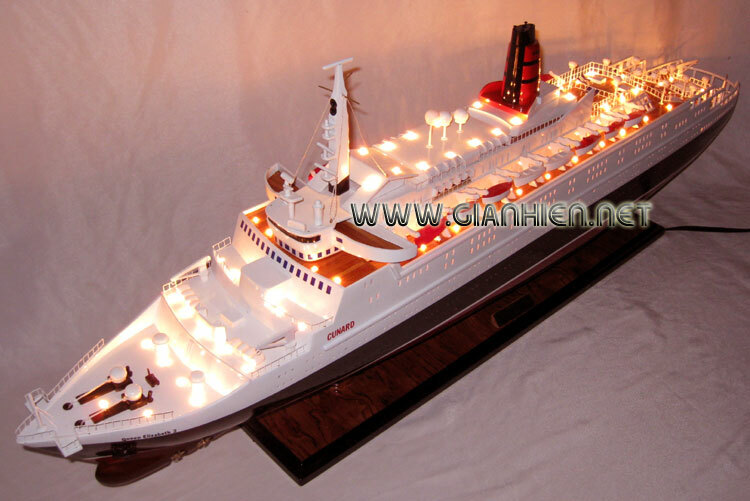 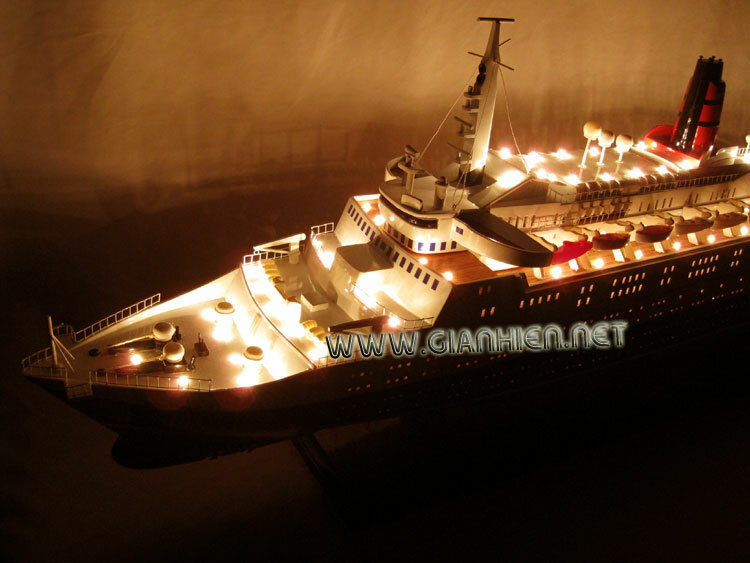 She was the flagship of the line from 1969 until she was succeeded by RMS Queen Mary 2 in 2004. 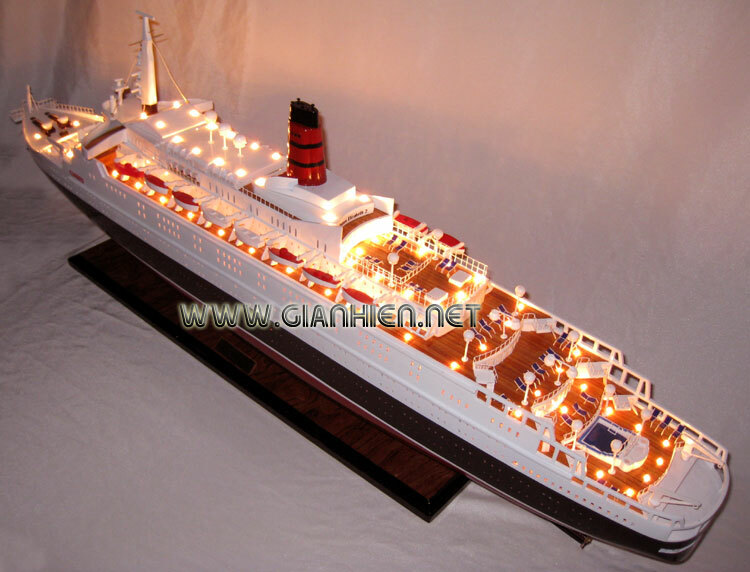 She was considered the last of the great transatlantic ocean liners prior to the construction of the QM2, and before she was refitted with a diesel power plant she was the last oil-fired passenger steamship to cross the Atlantic in scheduled liner service. 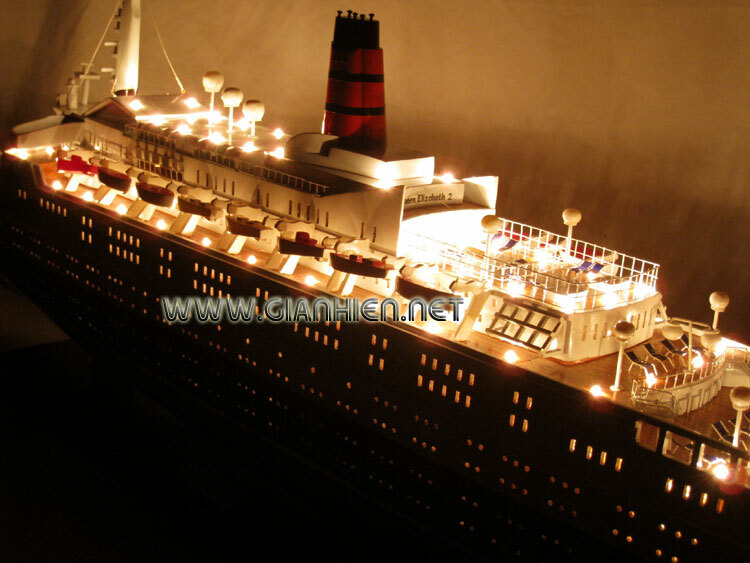 During her service as the Cunard flagship, the QE2 traveled all over the world, and now operates predominantly as a cruise ship sailing out of Southampton, England.